Achieving symmetry via the golden ratio. If a face is in proportion, we are more likely to notice it and find it beautiful. It has long been said that beauty is in the eye of the beholder. The perception of beauty is subjective; we just know it when we see it. However evidence shows our perception of beauty is hard wired. Based on how closely the features of one’s face reflect phi in their proportions. The Golden Ratio appears extensively in the human face. And can be used as as blueprint for minor changes that dramatically enhance physical beauty. Beauty fads come and go, and eyebrow shaping is no exception. But what if there were a mathematical rule we could cite as hands-down the perfect shape? Great artists proportion their works according to the Golden Ratio. 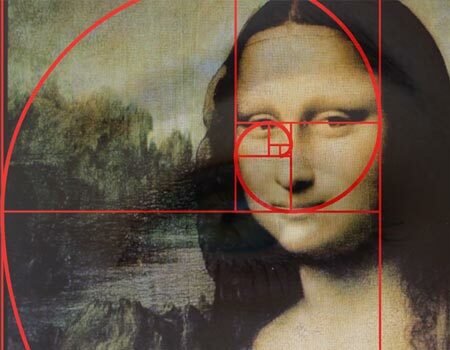 Artists throughout history, like Botticelli and Leonardo daVinci, have used the golden ratio, or variations of it, as the basis for their compositions. 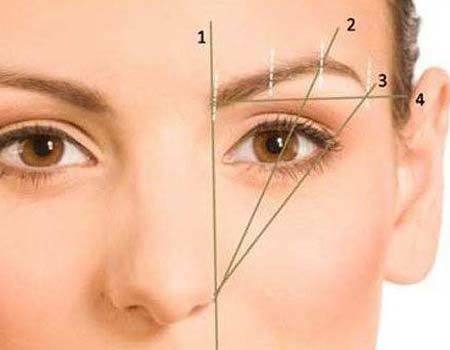 Using the Golden Ratio we can craft your brows to achieve the perfect face. At Mien Brows we use this mathematical technique along with the latest in equipment to achieve your perfect look. A scientific approach to improving your overall look. In this process, we implant tiny hair like strokes into the top layer of the Dermis of the skin, using a one use sterile hand tool. If you suffer from any major health conditions-we will require a letter of approval from your Doctor or Specialist. If you are taking certain medications. We advise not to consume Aspirin, Ibuprofin, caffeine or alcohol 24-48 hours prior to your procedure. Fish oil one week prior. However, do not discontinue any medications before consulting your Doctor. 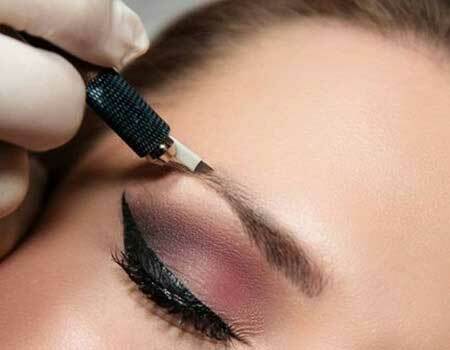 Avoid cosmetic injectables, skin treatments at least two weeks prior and two weeks after your cosmetic tattoo. What will affect my new eyebrow tattoo? Our cosmetic tattoo pigments are non-toxic and contain no artificial preservatives . What pigments do you use and are they safe? At Mien Brows we use the Tina Davies pigment line. This pigment line is 100% safe and cruelty-free. These pigments are sterilised, have never been tested on animals, do not contain animal by-products and pass the resAP 2008 regulations for the safety of semi-permanent make-up in Europe. Please allow 3 days’ notice for rescheduling of appointments-failure to give less than 3 day’s notice or a ‘no show’ to your appointment may result in a loss of your appointment or additional charges may occur. Please arrive no later than 15-minutes to your appointment. We may have to reschedule your appointment, you may lose your deposit or additional charges will occur. Prior to your procedure, please do not consume any alcohol, caffeine, aspirin or ibuprofen up to 48 hours before. Fish oil one week prior. As these may cause excessive bleeding during your procedure and can affect your results. Prior to your microblading procedure we recommend you avoid any cosmetic procedures two weeks before and after your appointment with us. This includes cosmetic injectables, skin peels, microdermabrasion etc. If you have an upcoming surgery, or recovering from surgery, please contact us immediately as this will affect your appointment. We apply an anaesthetic cream prior to your procedure, and continue to keep your brows numb during your procedure to keep you comfortable. For most clients, a minimum of two treatments are usually needed, at least 6-8 weeks apart. Your Initial First Session is used to build the foundation of your brows, and create symmetry and balance to the face. 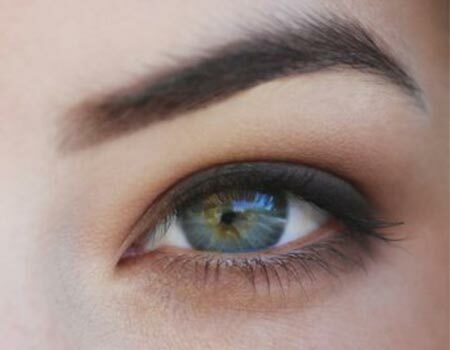 Your First Perfecting Session, is to perfect the brow shape, and add more substance to the brow. We do this by adding more hair strokes, and re-establishing any pigment that has not held. If you have had previous tattoo work on your brows you must book in for a consultation with Nicole for assessment. To make a booking phone us on 1300 627 697. We will go over your medical history and you can book a time over the phone. You can make a time for a free 15-minute consultation, meet Nicole see the Clinic for yourself. If you have an existing cosmetic eyebrow tattoo, please send us through a photo of your eyebrows in natural lighting without any make-up on. We can then assess if you will have to get your old tattoo removed first. We can recommend a safe clinic for cosmetic tattoo removal.